Special note: no spoilers here. You should also not view the full cast list, pictures listing the characters, etc. This adventure fantasy expands the magical universe of the Harry Potter series, created and written by J.K. Rowling who writes this original screenplay, which stems from her Fantastic Beasts and Where to Find Them reference book. 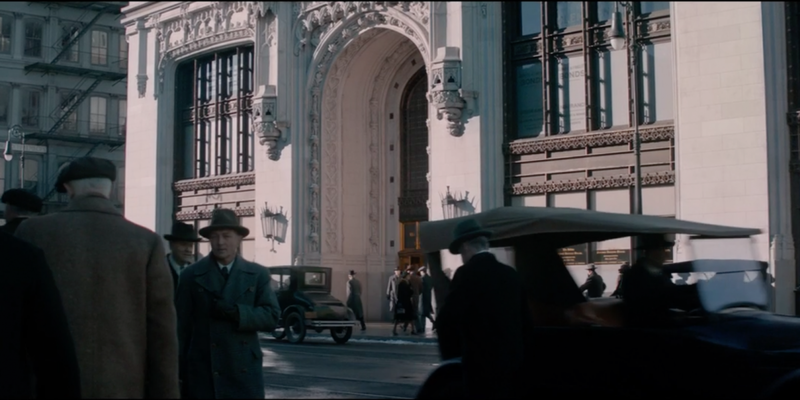 Set in 1926 New York, approximately 70 years before Harry Potter first goes to school, this movie runs rich with nostalgic sets, objects/props and set designs as the Jazz Age provides plenty of style. This movie’s creative crew makes a memorable visual experience thanks to a talented crew who worked with a reported 180 million dollar budget. This movie also includes a few flashbacks from other locations, especially during the beginning sequence. Composer James Newton Howard and costume designer could see Oscar nominations for their work. 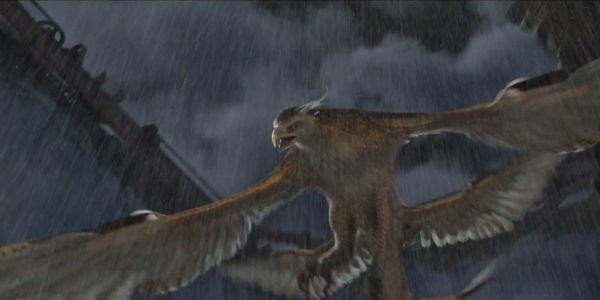 Howard establishes an emotional tone early as the familiar Harry Potter music theme quickly transforms into his impressive new score while Atwood provides an authentic appearance for each character. Creators have a definite advantage when they are introducing an entire universe/world to audiences, especially one that’s based on another well established, popular universe. The crew and author Rowling use more adult themes and elements here that could upset viewers even though the Motion Picture Association of America only rated this movie PG-13 for fantasy action violence. Like any engaging fantasy universe, audiences experience multiple layers of emotional and intellectual depth that relate to the real world. Fantastic Beasts and Where to Find Them needs some notable improvement in this category. Creators seem content to keep the plot fairly simple with an even pace as audiences soak up the scenery and effects. They slowly showcase beast sequences and character development. A faster pace and more involvement from the secondary human characters could have more closely engaged audiences. She basically uses this beast knowledge as reasoning for presenting and explaining the magical universe in America across the pond from magical universe in Harry Potter’s native England. Rowling does establish a city wide code red status, but it’s still distracting how human characters are secluded from several sequences where the magic characters and beasts interact in exterior New York. The beasts and other creatures range from mischievous to helpful as they easily meld into the lush New York settings thanks to expert special effects, which are also well used for memorable narrative purposes. Visual text overlays of the beast/creature names (e.g. Bowtruckles, Swooping Evil, Demiguise, Occamy, etc.) would have been helpful since audiences only hear the names through character dialogue. Compared to Beasley family who adopted Harry in the Harry Potter movie series, Fantastic Beasts and Where to Find Them contains more adult characters. These witches, wizards, and humans (a.k.a. Muggles or No-Majs) encounter and/or even belong to one of two key organizations for and against magic. Carmen Ejogo (Selma) plays the Magical Congress of America President Seraphina while Samantha Morton (Minority Report) plays Mary Lou who leads the cult-like Second Salem movement that utilizes several younger characters to further their cause including Modesty, played by Faith Wood-Blagrove in her feature debut. The politically powerful Shaw family (Jon Voight plays the patriarch of two sons named Langdon and Henry) represents human leadership in the city as their figurehead status also provides some potential future developments. Magizoologist Newt Scamander, played by Eddie Redmayne, arrives on Ellis Island for specific purposes then encounters the core character group along the way. This considerate, clever, and, most of all, responsible gentleman displays admirable respect, patience and love throughout his exploits. Newt also incorporates his unique British and caretaking perspectives into the narrative (mostly through dialogue) among the magical and No-Maj New York natives. Newt shares his unique beast knowledge with a memorable quartet that includes No-Maj Kowalski, well played by Dan Fogler (Mars Needs Moms, TV’s The Goldbergs). Kowalski gets several hands-on, field experiences with Newt while anchoring and even enhancing this movie’s frequent humor, which provides some audience relief from the darker elements. Fogler’s great screen presence accentuates some of the most heartfelt scenes. Newt seeks to “rescue, nurture and protect” while educating his fellow wizards as audience relates to Kowalski as they discover this fantasy world through him . “I ain’t got the brains to make this up,” Kowalski says. Tina, played by Katherine Waterson (Steve Jobs, Michael Clayton), enforces against dark magic as an auror while the well-cast Alison Sudol plays Queenie who is uniquely skilled. These female characters initiate positive actions when situations seem hopeless as well as great sensitivity and awareness within unavoidable situations. Rowling’s strong screenplay allows the core quartet time to gel and make meaningful connections that reach beyond the fantasy elements while still incorporating them into the story. The romantic elements among them naturally ebb at times, but mainly remain in the background as situations and character abilities largely direct any deeper involvement. Colin Farrell plays the key role of magical strong man Percival Graves and rising star Ezra Miller (The Perks of Being a Wallflower, upcoming The Flash) plays Credence while other notable supporting cast members include Ron Perlman as Gnarlack and Zoe Kravitz as Lestrange. Rowling gives every character a notable power/trait regardless of their magical abilities. She considers the past, present and future as these clearly defined characters elevate the plot and allow audiences and fans to more easily navigate through this fantasy universe and retain information for the future. This movie has some solid surprises and key reveals though audiences can guess them fairly easily when paying close attention. Director David Yates (Harry Potter and the Deathly Hallows: Parts 1 and 2) and his crew provide impressive point-of-view shots and strong special effects throughout the 133 minute running time. Yates and his editing crew’s only notable snafu is a bad transition in an exterior sequence featuring the tracking shots of an invisible character in the New York Streets. Look for four more installments coming in this spinoff movie series all to be directed by Yates with Fantastic Beasts and Where to Find Them 2 currently in pre-production for a 2018 release. Fantastic Beasts and Where to Find Them comes recommended with reservations (**1/2 out of four stars) and is rated PG-13 for some fantasy action violence. This entry was posted in 2010s Film Reviews, Film Reviews and tagged Fantastic Beasts, Film, Harry Potter, Michael Siebenaler, Mike Siebenaler, Tall Writer. Bookmark the permalink.